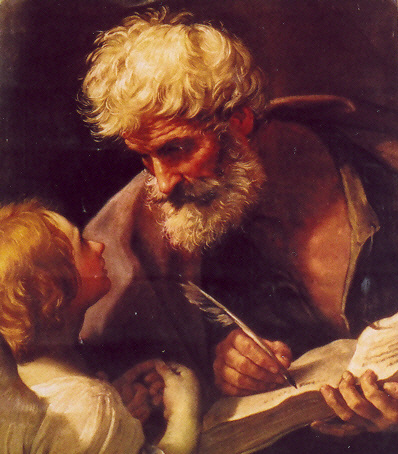 St. Matthew's Gospel of our Lord's Passion is extensive and may be accessed by using this link. St. Matthew's Palm Sunday Gospel "Passion of Our Lord." One would think a Gospel commentary on the Passion of Our Lord would be easy to write but, with so much to reflect on, it is not easy to know where to begin. That is why I am going to do something a little different. I am not starting with the Passion narrative or even the account of Jesus' entry into Jerusalem, which are the heart of Palm Sunday. Instead, I am going to begin with Ash Wednesday, when we started our Lenten journey. So many people came to the church that day wanting to receive the cross of ashes on their forehead. Some came to Mass, received their ashes and left. Some people stopped by the church at different times asking just for them. It is obvious that we attach a great significance to those ashes - as well we should. In receiving those ashes, we know we are starting a special penitential season. Lent would not be Lent without them. We meditate on the more profound meanings of those ashes, however, when we hear the words of the minister: "Remember you are dust, and unto dust you shall return," or; "Turn away from sin and believe in the Gospel." The ashes remind us of our own mortality and that Christ has conquered death. The ashes remind us of the call to repentance and conversion, which means a turning away from, or dying, to sin. As powerful as the sign of that cross of ashes is, however, ashes are a sacramental, not a sacrament. Distinctions need to be made. Christ Himself instituted the sacraments and they confer sanctifying grace, or the grace of the Holy Spirit. They are the signs of Christ's saving actions and operate by His direct power. Sacramentals are instituted by the Church. They "obtain grace through the prayers of the Church and depend upon the faith and good dispositions of the person using them" (Basic Catechism, Pauline Books and Media, p. 147). In other words, ashes remind us of our own mortality, but we have the remedy for that in the Eucharist, which is the Bread of Life. The sacramental points the way to our need for the sacrament. Which brings us back to Palm Sunday. Again, many people will come to the church wanting that blessed palm branch. Again, this day is a reminder that we are entering a truly sacred and special time: Holy Week. Again, it is obvious that we attach a great deal of significance to that palm - as well we should. Matthew's Gospel tells us that, as Jesus approached Jerusalem, a crowd came out to meet Him. They "spread their cloaks on the road, while others cut branches from the trees and strewed them on the road." They "kept crying out and saying, 'Hosanna to the Son of David.'" It is not like Jesus never visited Jerusalem before, but this time it is truly a festive occasion. That He is approaching David's city on a donkey is seen as a fulfillment of an Old Testament prophecy spoken by Zechariah. The Lord is entering the holy city as a conquering king. His victory will be over Satan and death, and it will come about in a way that will shock and scandalize many greeting Our Lord that day. The Christ will suffer, die and rise again. Then He will enter into His glory. In the fourth century, a pilgrim in Jerusalem spoke of Christians going out to the Mount of Olives to celebrate this event with a procession of palm branches. Today, we do the same. We may not be in Jerusalem, but some parishes may have a solemn procession into the church carrying blessed palms. Those palms remind us that we, too, can share in the Lord's victory. In Christian artwork, saints, especially those who were martyred, are often depicted holding a palm branch. This signifies the victory of the spirit over the flesh, the victory of the faithful over the temptations of the devil. The end result of suffering with and for Christ is the palm of victory, and a share in Christ's glorious reign. We know the battle can never be fought on our own. We need the grace of the Holy Spirit conferred in Baptism, Penance, the Eucharist and Confirmation if we are going to win, though. Again, the sacramental points the way to our need for the sacraments. We have a strong desire for these sacramentals, but where is the desire for the Eucharist? Churches are full on Ash Wednesday and Palm Sunday. Why are they not full every Sunday? Yes, this is Palm, or Passion, Sunday. But every Sunday, at every Mass, we have an opportunity to participate in the Paschal Mystery, the dying and rising of Christ. That is what the Eucharistic sacrifice is all about.